Each class will have its own location and date. 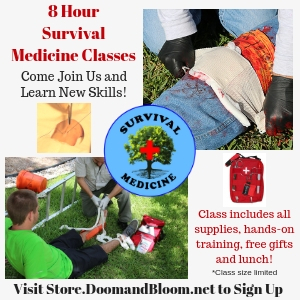 These classes will be taught by Dr. Joseph Alton and Nurse Amy only, no substitute educators will be utilized. Classes are subject to cancellation if enrollment does not meet a minimum. We do not anticipate this will be an issue.